Indigo lives in the Lake District, and spends his time exploring the mountains he loves. An unexpected parcel arrives containing a first aid kit inside his grandfather’s satchel. Indigo’s curiosity is raised as he looks through his grandfather’s notebook to discover drawings of mythical creatures. Strange things begin to happen and Indigo finds himself treating an injured magpie-cat, curing a cockatrice of its death-darting gaze, and defending a dragon. Indigo realises he must uncover the secrets his family have kept hidden, and travels alone to the Polish mountains to search for his grandfather and the truth. Summer is around the corner and this is the best time, in my opinion, to get your fantasy socks on and read a good book involving a legendary mythical dragon. Fortunately you don't need to look any further with the book Indigo's Dragon, which is set in the beautiful landscape of the Lake District. It invites you to walk the tight rope of magical adventures which will captivate the wild imagination and the spirit of being young. This is the first pocket size instalment to land on the bookshelves with two further books planned to follow. Indigo's Demons will be the follow up and will be published early December 2016. Whilst the third book, Indigo's Deep will be published at some point in June 2017. 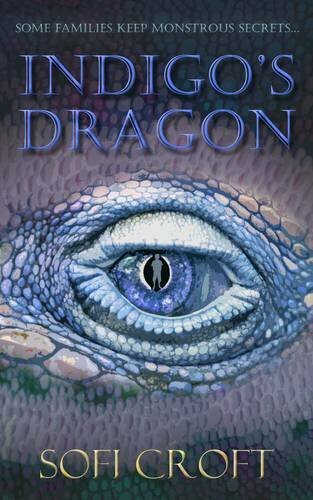 Indigo's Dragon is a fast paced and free flowing fantasy book for young readers around the age of 8 years old and upwards. The book features a young boy Indigo who is 13 years old and loves roaming the crags and fells of the Lake District. However, one day he gets an unusual parcel from his mysterious Grandfather Opi. It contains a book of tales of mythical beasts and a strange first aid kit, but unfortunately it is quickly stolen by a strange hybrid creature that has been conjured up in the inventive land of fantasy. The search for Indigo's grandfather, Opi, is a dark and dangerous path. All of which leads to the uncovering of secrets, answers to some vital questions and some really breathtaking moments. The story features lots of amazing creatures that have their roots firmly planted in folklore and tradition. It will certainly make children want to explore more original folktales and the great outdoor settings featured in the plot. The story also zips to the atmospheric Polish mountains and soon the mysteries unravel in a dream-like quality with a timely twist that will keep readers on their hooked claws. The book is a great family adventure that will transport the reader to a magical place. It is an action packed adventure set in the great outdoors where you can breath in the magical air. The more that you read, the more you can inhale the strangeness that unfolds through the original plot. It will certainly help you to escape to a place and world far from what you know. This is a great debut story that really reflects the author's love and passion for reading and storytelling. It helps the story to blossom into an engaging read which is slightly different from mainstream books at the moment. This is a book that all children will identify with, especially with Indigo's character as he faces family loyalty, friendship and hidden family secrets. So much energy, emotion and feelings, with some highs and lows along the way, are delivered through this story. It is a really enjoyable tale focusing on finding out the truth about who and what you really are. Nothing like dragons to signal high fantasy! The last dragon-centered book I read was a while back with Eragon...I'd say I'm about due for another one. I'm intrigued that Indigo's Dragon has a short page count, though, as most fantasies tend to push word count boundaries. How short is very short? Oh, you weren't kidding! Interesting. I'll have to add it to my TBR list.